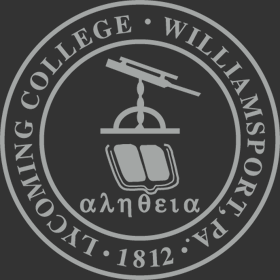 Lycoming College is a private, independent liberal arts college. As a special service to the community, the College permits in-library use of most print library materials, photocopy machines, and limited borrowing privileges. Due to the small size of our staff, it is not always possible to provide reference and instructional assistance to members of the community. If your library needs fall outside Snowden Library’s policies or community users’ hours, please visit James V. Brown Library, located just one block away on East 4th Street. Alumni and community users may apply in person to borrow materials at Snowden Library. There is a 2-day waiting period for new registrations. There is no registration fee. Alumni and community users must be 18 years of age, live in Lycoming County, and show one form of identification when applying for borrowing privileges. If not a county resident, the applicant must be associated as a student, faculty, or staff member with an institution that is part of SLC, ACLCP, or The Commonwealth Medical College. Circulation is limited to two books at a time for community users and four books for alumni users. The loan period for checking out library materials is four weeks with no renewals for community users. Alumni users are permitted one renewal. DVDs/VHS and Leisure Collection materials do not circulate to community or alumni users. If library materials are not returned within 15 days after the due date, or are returned in damaged condition, users will be billed $85, $70 for the replacement fee and a non-refundable $15 processing fee. All fees and fines must be paid before borrowing privileges are reinstated. Snowden Library reserves the right to recall library materials for the use of Lycoming College students, faculty, and staff. Please return recalled materials within 2 days of such a request. Lycoming College limits the use of computers and databases to Lycoming College students, faculty, and staff only. Connect to LYCOWIRELESS on the device, then open a web browser and direct it to www.google.com. It will automatically redirect to the sign-in page for Wi-Fi. Guests should choose the 24-hour guest access and sign in with a valid email address. Access is good for 24 hours, and can be renewed as needed while visitors are here. The Smithson Glad Room and all other private study spaces are reserved for use by Lycoming College students, staff, and faculty. For a complete listing of library hours, including summers, holidays, and breaks, please see our Library Hours page. For more information, please contact Sue Beidler, Interim Director, at 570-321-4084 or beidler@lycoming.edu. Snowden Library is adjacent to Wendle Hall in the Academic Center. GPS users should use the following address: 500 Mulberry Street, Williamsport, PA 17701. For written directions, click this link and follow the directions for Wendle Hall, Academic Center.